Syrian fighters backed by artillery fire from a US-led coalition battled a fierce jihadist counteroffensive as they pushed to retake a last morsel of territory from the Islamic State group in an assault lasting days. The sound of explosions echoed dozens of kilometres (miles) away and columns of dark grey smoke could be seen from SDF territory. "Heavy clashes are ongoing to pressure IS into surrendering," said Rami Abdel Rahman, chief of Britain-based monitor the Syrian Observatory for Human Rights. The Observatory said 12 SDF fighters and 19 jihadists were killed in the fighting on Monday. SDF spokesman Mustafa Bali said the force responded after IS launched a counterattack earlier in the day. He also said there were "dozens of SDF hostages held by IS" inside their last foothold, but denied reports of executions. "Our brave warriors have liberated virtually 100 percent of ISIS (territory) in Iraq and Syria... soon it will be announced, soon, maybe over the next week, maybe less, but it will be announced we have 100 percent," he told a rally in the US city of El Paso. 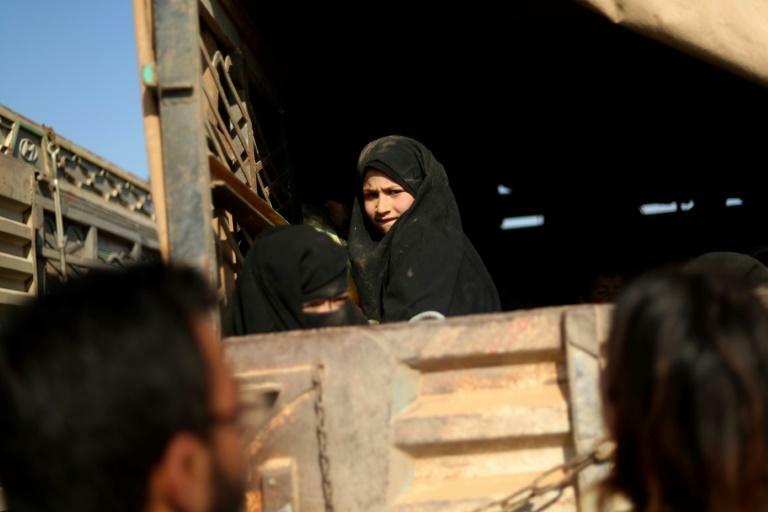 Since December, tens of thousands of people, most women and children related to IS fighters, have fled the shrinking jihadist holdout into SDF territory. Two French women told AFP they paid smugglers to take them out of the battered IS-held holdout of Baghouz, but Iraqi jihadists had prevented other foreigners from leaving. "They said only the Syrians and Iraqis can be smuggled out," said one of the women, who said her first name was Christelle, from the city of Bordeaux. 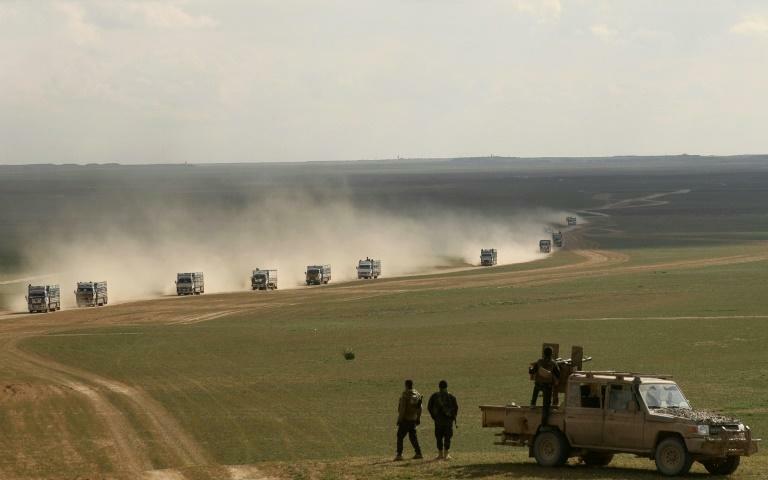 The Observatory said 600 people including around 20 suspected jihadists fled IS areas overnight. 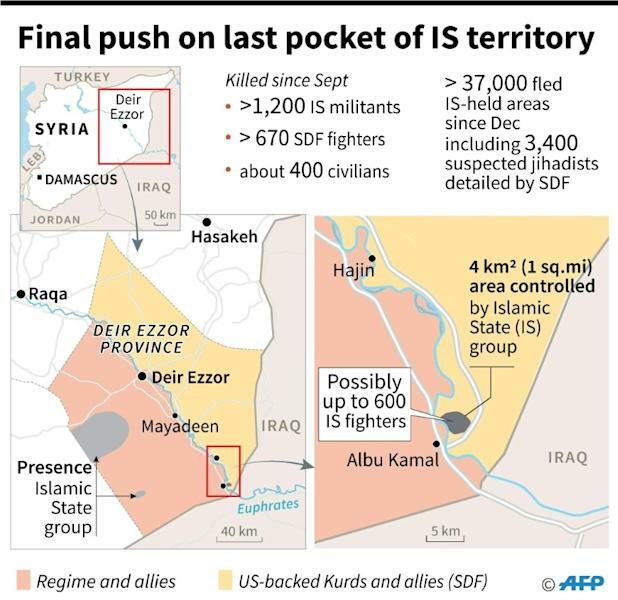 On Saturday, the alliance had said up to 600 jihadists as well as hundreds of civilians could remain inside the IS patch of four square kilometres (one square mile). At the height of their rule, IS imposed their brutal interpretation of Islamic law on a territory roughly the size of Britain. Trump in December shocked Washington's allies by announcing a full withdrawal of US troops from Syria as IS had been "beaten". But the US military warned in a report published this month that IS "could likely resurge in Syria within six to 12 months and regain limited territory" if sustained pressure is not maintained. A US departure makes them more vulnerable to a long threatened attack by neighbouring Turkey, which considers Kurdish fighters to be "terrorists", and dashes their dreams of autonomy.